He said Mr Achletiner had “serious questions” to answer regarding the bank’s under-performance and high turnover of senior staff. Dr Hirt added: “Paul Achleitner has not only overseen significant CEO and management board turnover during his six-year tenure but also a number of attempts to define and implement a value-creating strategy for Deutsche Bank. Hermes stopped short of saying Mr Achleitner should go, but it said Deutsche Bank’s nomination committee should “start to consider plans for the succession”. 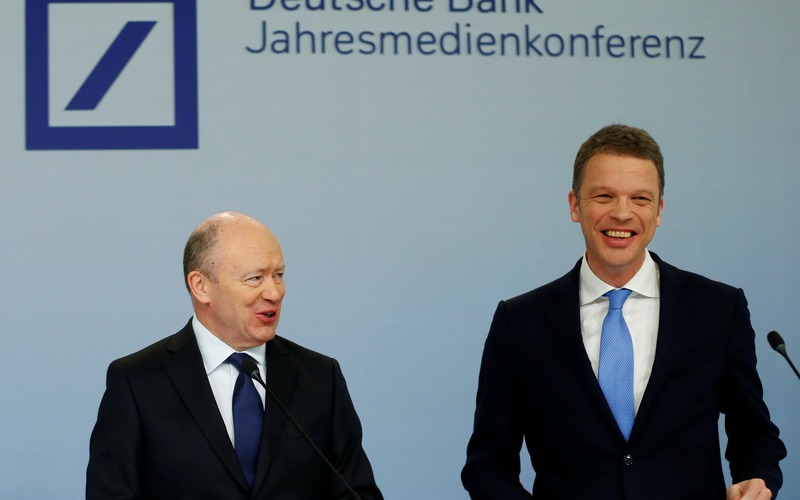 Deutsche Bank’s new chief executive Christian Sewing took the helm in April and laid out plans to pursue deep cost-cutting at the company, including at its investment bank. Investment advisor Glass Lewis has recommended shareholders abstain in the vote on whether or not to oust Mr Achleitner, saying that his immediate removal would “involve risks” and the “extent of benefits are unclear”. But it has recommended votes against the board on two other resolutions - which are effectively votes of confidence in the board - saying these had not been earned. Rival advisor ISS has urged investors to vote against the motion to remove Mr Achleitner. It is supporting the board on its AGM resolutions.